The Southcoast Specialty Pharmacy offers a patient-centric approach to care and treatment with dependable results. Each member of our team is specially trained with many years of experience providing pharmacy care to patients with complex medical conditions. Our pharmacists and technicians keep in touch with the patient, physician and entire health care team to ensure patients have all necessary supplies on hand. The Southcoast Specialty Pharmacy also provides comprehensive monitoring, adjunct therapies, reimbursement support, and co-payment assistance (if needed) through nonprofit organizations and manufacturer programs. 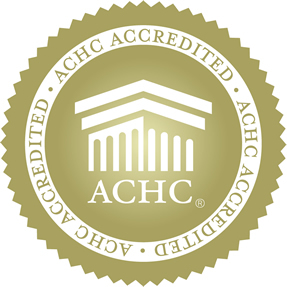 Accredited by ACHC, the Accreditation Commission for Health Care. Contact the Southcoast Specialty Pharmacy by calling (508) 973-3320 to learn more about how we can assist with your health care. The Southcoast Specialty Pharmacy offers services from the only hospital-linked specialty pharmacy in southeastern Massachusetts.